These bags are used to transport and protect many goods in both industrial and commercial applications, and they can be made in many different forms. Other plastic bags, primarily polyethylene bags, are used more commonly, but polypropylene bags offer many unique advantages and benefits. Bags made with polypropylene are especially well suited for applications requiring reuse of bags. Many reusable shopping bags, for example, are made of polypropylene. Reusability is achieved due to the exceptional strength of these bags, and this strength is a result of polypropylene’s unique chemistry. Polypropylene is made of long chains of smaller propylene molecules, which provide the necessary flexibility for use in bags while still maintaining strength. Polypropylene is also resistant to fatigue, which means that the material can withstand repeated loading. In other words, polypropylene bags can be reused because they do not sustain damage from repeated use. On the other hand, polyethylene and other disposable plastic bags begin to stretch, deform, and rip when used too many times. Along with excellent strength, polypropylene has a low density, making it very lightweight and giving the material a high strength to weight ratio. The visual properties of polypropylene can also be modified to customize the look and transparency of the bag. In its normal state, polypropylene is translucent, allowing some light to pass through; however, bags can be modified to achieve complete transparency. Different pigments can also be used to achieve a huge variety of different bag colors, and logos and other designs can be printed on the bags as well. Applications for polypropylene bags, like other bags, typically involve transporting and storing a variety of objects and products. 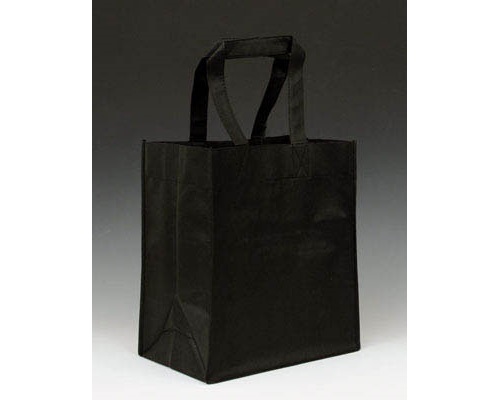 Tote bags and reusable shopping bags are probably the most commonly used and most well known kinds of polypropylene bags. 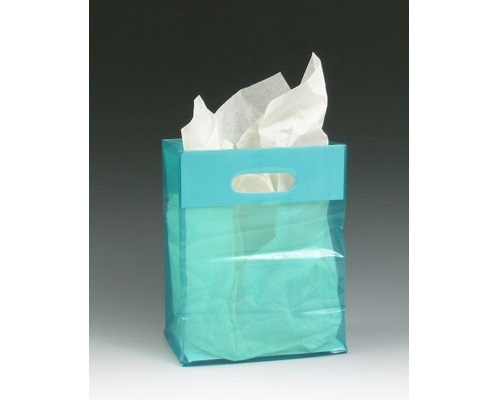 These bags are very affordable, making them an excellent option for consumer applications. Additionally, many food markets can use transparent polypropylene bags to display fruits, vegetables, and other food items while keeping them fresh. Polypropylene bags are used very commonly in commercial and consumer applications, but they can also be used in industrial applications. Many manufacturers utilize polypropylene bags to store and ship large quantities of smaller parts and products for ease of transportation and delivery. Whether you need to carry heavy groceries or ship industrial components, polypropylene bags are a sturdy, flexible, and affordable plastic bag solution. Polypropylene Bags Polypropylene bags are flexible containers constructed from the plastic material polypropylene.